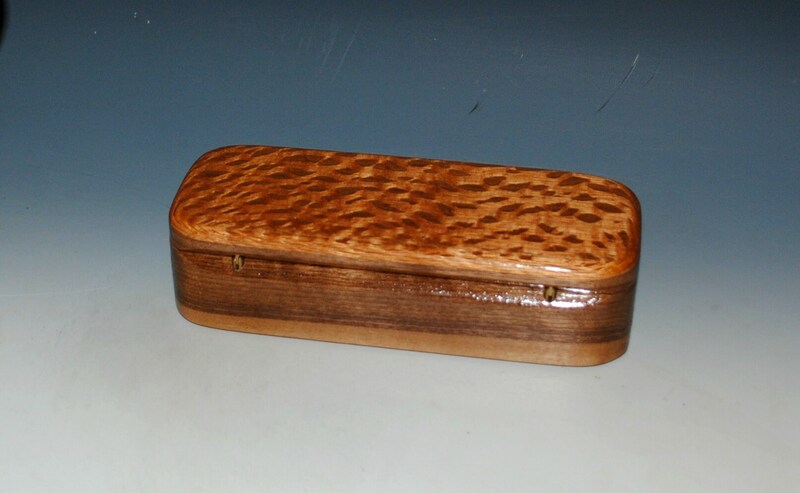 Wooden Pen, Pencil or Gift Presentation Box of Lacewood on Walnut - Handmade Wood Box With Hinged Lid by BurlWoodBox - A Unique Gift ! 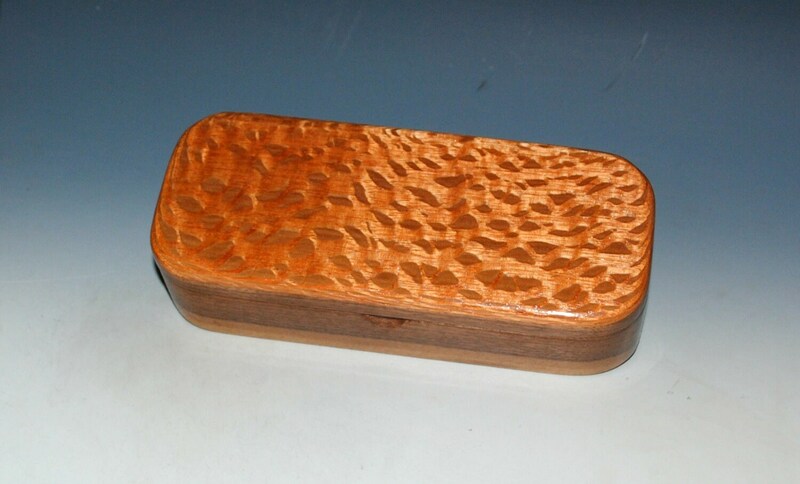 A fine handmade wooden pen box made of walnut and accented with lacewood. 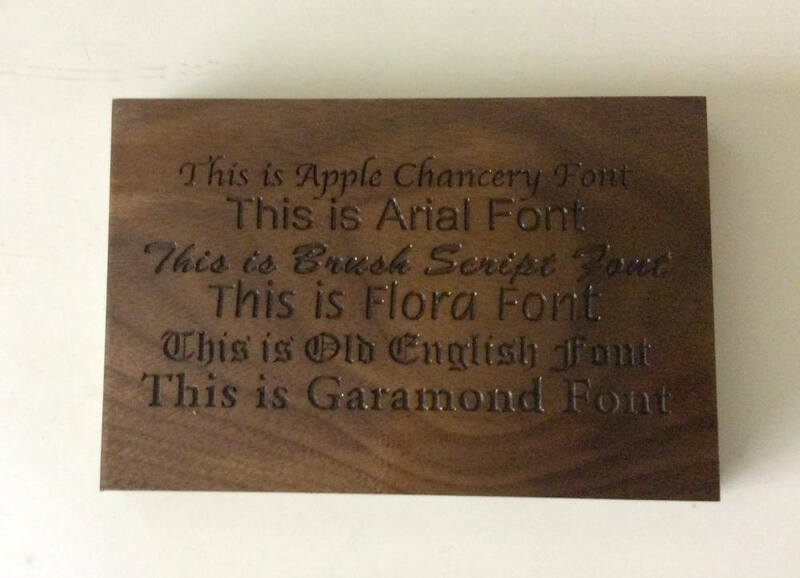 Lacewood is highly reflective or chatoyant. 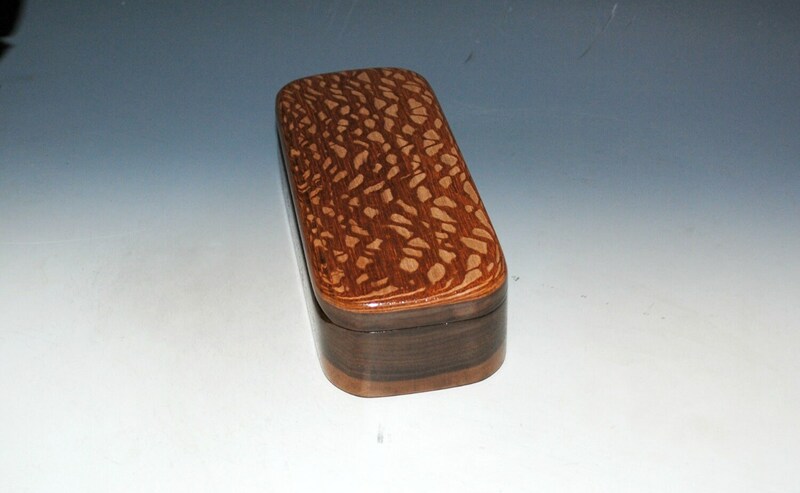 It is related to oak and is also called silky oak. It hails from Australia and New Zealand. 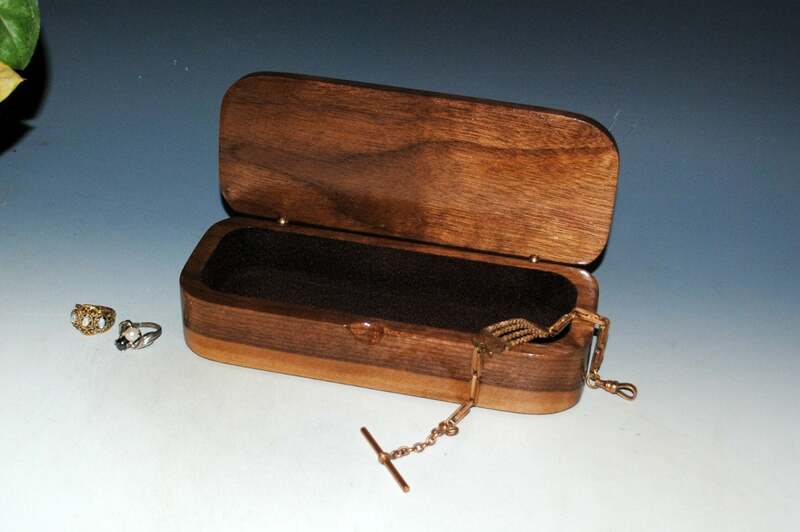 This wood box is a beautiful desk box, would make an excellent gift, or can be used for storage of keepsakes or as a jewelry box. 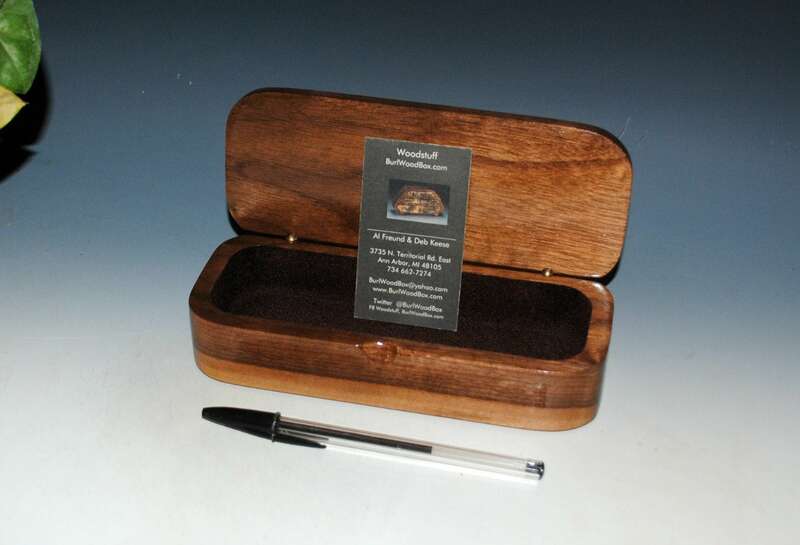 Great for those runaway desk items or as a special gift presentation box. Or whatever else you want to put in it. 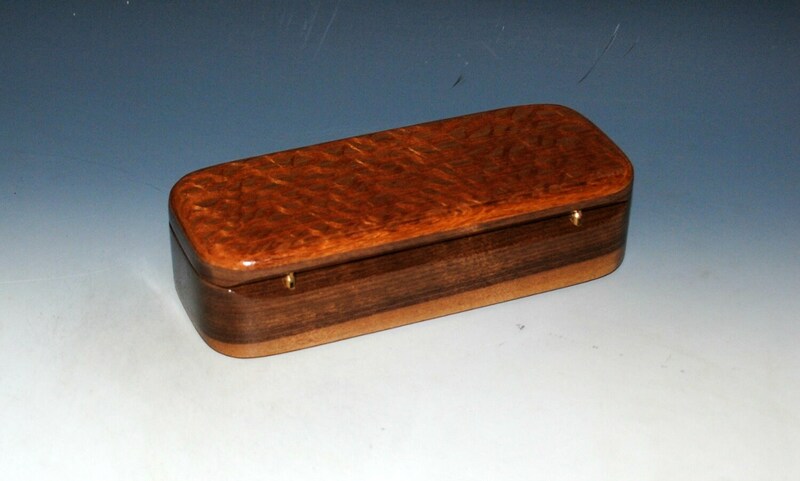 This box is lined with brown rayon fibers. 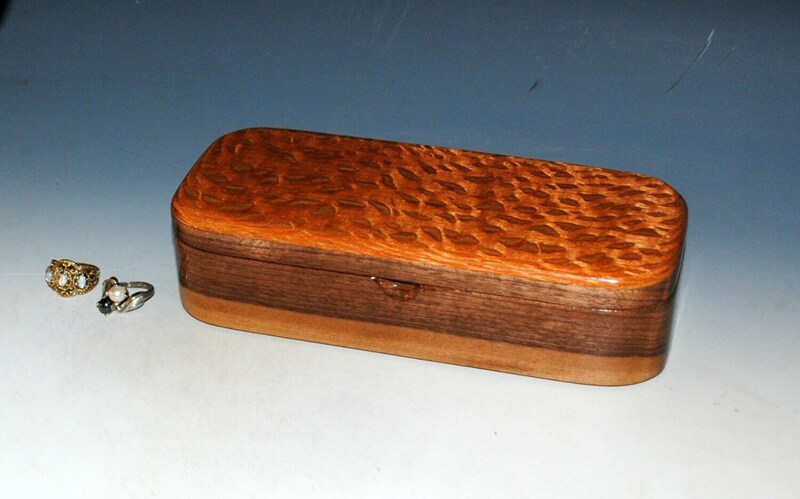 Other styles of our handmade wood boxes can be accessed from our shop's main page, link follows. 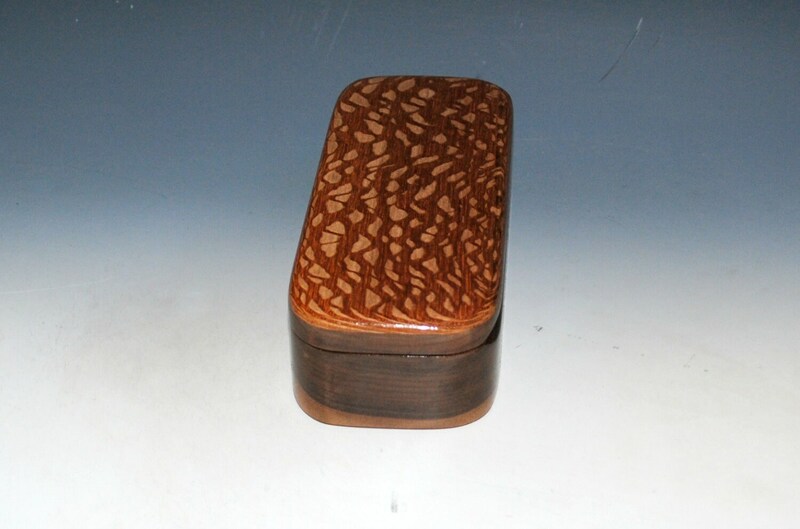 As pictured, very handsome shift with the wood in the light!